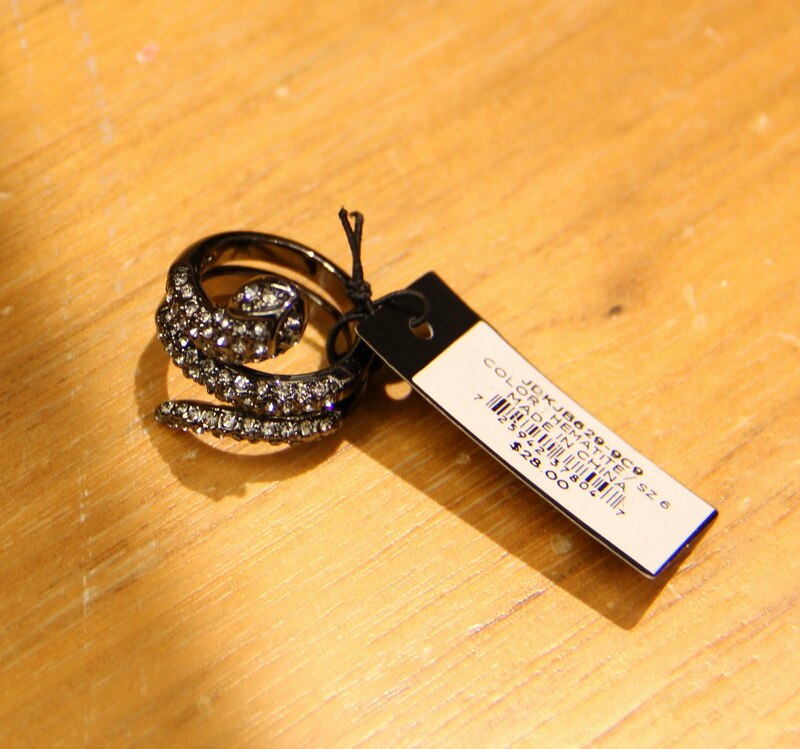 After a long day of shows at Mercedes-Benz Fashion Week, I made my final Fashion's Night Out stop at the Fifth Avenue BCBGMAXAZRIA store. 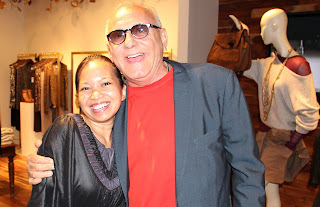 Max Azria is my favorite designer, so how could I not join him for Fashion's Night Out? The first 100 guests who purchased the new fragrance received a bottle signed by Max. The first 250 customers that made any purchase received a Runway Survival Kit with a .25 oz. bottle of fragrance and a limited-edition Maybelline Great Lash mascara designed by Max. I received my Runway Survival Kit when I purchased this rhinestone snake ring for $28!